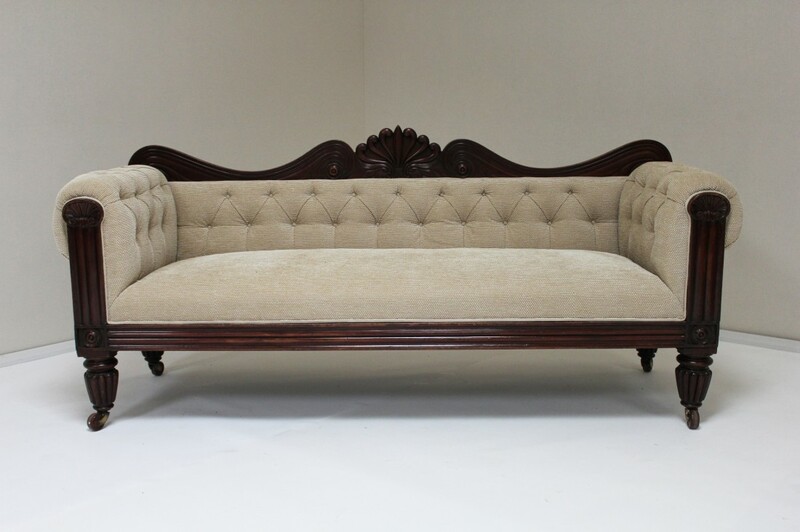 A fine William IV Sofa with carved crest rail and fluted arm faces in rich dark mahogany. Fluted show wood base rail runs between beautiful turned and fluted legs with original brass wheel castors. The inside back and arms has been lightly buttoned so as not to remove any comfort from the sofa. A very fine peice which would work well in any setting. Exquisite quality and a good investment piece. 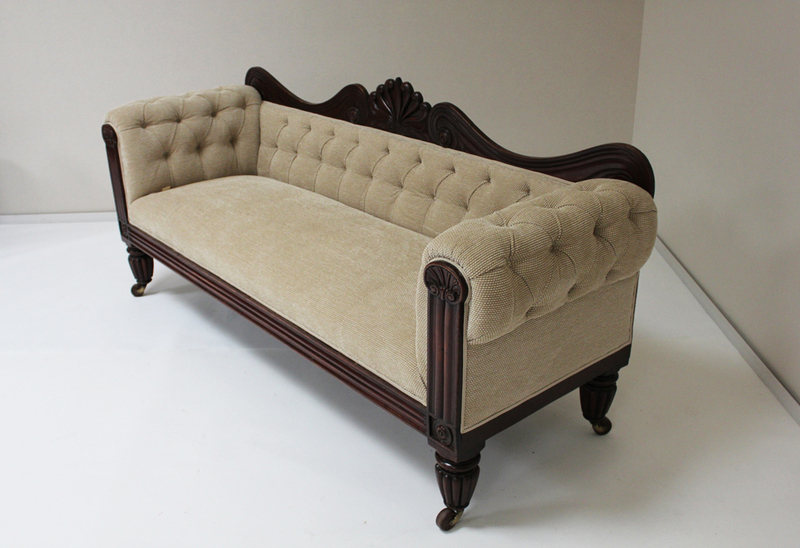 The Chenille fabric that is currently covering this sofa has been included in the price free of charge. You will require 12 metres of plain fabric or 13-14 metres of patterned fabric if you are considering changing the top cover. 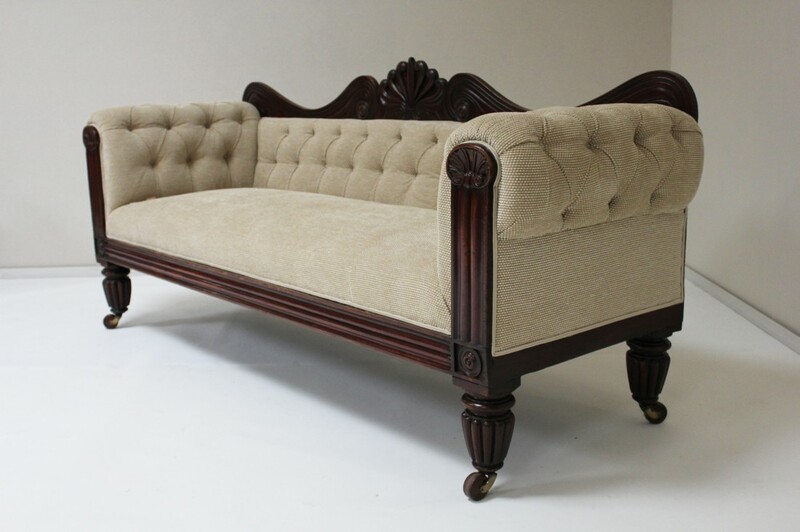 To ask a question about the William IV Sofa **RESERVED** click here. We'll email you the answer as soon as possible. 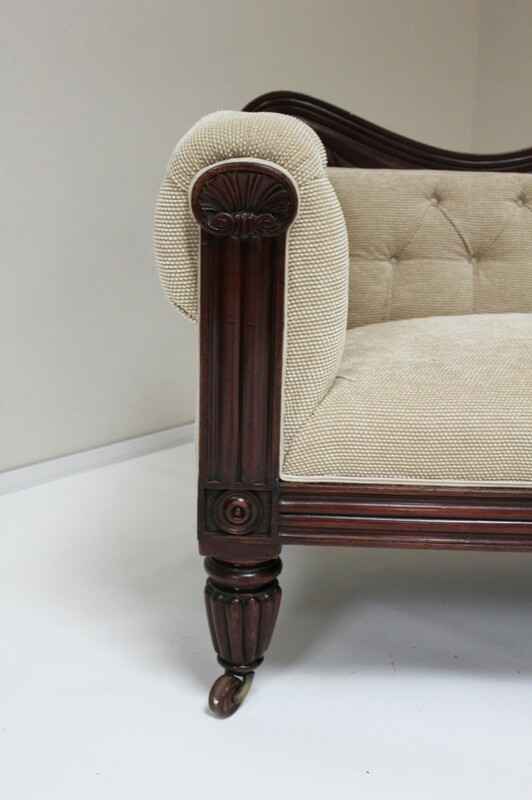 If you have a question about the William IV Sofa **RESERVED**, fill in the form below and we'll email you the answer as soon as possible.